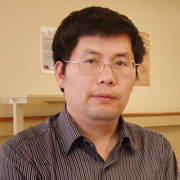 In 2004 he Started as a member in Chinese Society for Neuroscience. In 2006 he Started as a member in Society for Neuroscience. In 2007 he Started as a member in Canadian Association for Neuroscience. In 2012 he Started as a member in American Society for Neurochemistry.